In Hevea brasiliensis (Willd. ex A. Juss.) Müll. Arg., the genetic diversity of seedling rootstocks is considered as the major factor responsibles for intra-clonal variation in the latex yield. Genetically uniform clonal rootstock is used to reduce this variation. In this study, the effect of four rootstocks including three clonal rootstocks namely, CATAS 8813, Haiken 2, Dafeng 99 and a seedling rootstock were investigated after grafted to PR 107 with respect to growth, rubber yield, biochemical parameters of latex and intra-clonal variation. Rootstocks significantly affected the sucrose, inorganic phosphorus and thiol contents. The clone CATAS 8813 and seedling rootstocks showed higher sucrose, inorganic phosphorus and thiol contents than the trees of Haiken 2 and Dafeng 99. Dry rubber yield was found to be highest in CATAS 8813 followed by Dafeng 99 and Haiken 2. The three clonal rootstocks reduced intra-clonal variation in latex yield, exhibiting lower range of latex yield and lower coefficient of variation, compared to the seedling rootstocks. The effect of the four rootstocks on the girth growth was not significantly different. The present study suggested that the clonal rootstock CATAS 8813 might be a potential source for improving rubber yield of scion PR 107. IRSG. 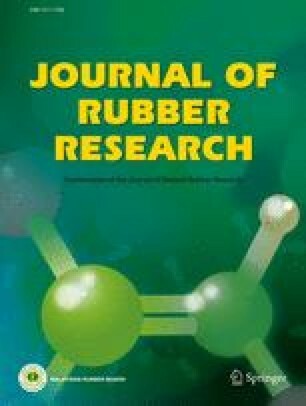 Retrieved July 1, 2016 from https://doi.org/www.rubberstudy.com/news-article.aspx?id=5101&b=default.aspx.